Since the fantastic response to his special release last month (Love for $ale Feat Roots Manuva), Jamie Cullum is pleased to announce the full details of his sixth studio album, ‘Momentum’, released on 20th May 2013 via his new record label Island Records. Having sold over ten million records worldwide, performing to sold out tours across the globe, working on a variety of unique projects that have seen him collaborate with a range of artists from Stevie Wonder, Pharrell, Sander Kleinenberg, Rizzle Kicks to The Roots, Jamie continues to enjoy an incredible creative roll. The album, titled ‘Momentum’ for good reason, is bursting with ideas and inspirations which almost have a life of their own. Indeed, Jamie approached this record in a completely different way to his previous LPs, for the first time using DIY home demos as a blueprint for the majority of its tracks… and for a while, using everything from iPhone apps, charity shop keyboards and cassette recorders as his ‘go-to’ instruments during the process. The album was produced in part by Jim Abbiss (Artic Monkeys, Adele) and Dan The Automator (Kasabian, DJ Shadow) and it should come as no surprise that, combined with Jamie’s talent for writing a tune, the album is brimful of powerful songs; from the opening declaration of intent ‘The Same Things’ to the beating heart of the album ‘Sad, Sad World’, which began life on a train journey into London, ending with ‘You’re Not The Only One’, a song written in response to being a judge on Sky One’s reality show ‘Must Be The Music’ alongside Dizzee Rascal. The first single off ‘Momentum’ will be the ever uplifting ‘Everything You Didn’t Do’, released on Sunday 12th May. Additionally the deluxe album includes three bonus tracks plus live recordings taken from Jamie’s recent performance at the world famous Abbey Road Studios in London. These include the remarkable collaboration between himself and BRITs Critics Choice Nominee Laura Mvula on ‘Sad, Sad World’. 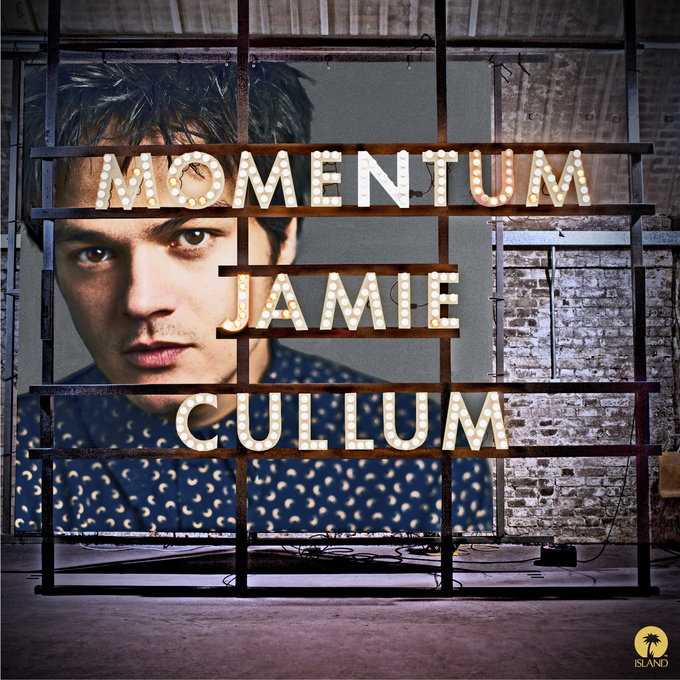 Momentum is available to pre-order via www.jamiecullum.com and will be on iTunes this weekend. Dave Grohl is drumming for them, Pharrell Williams is writing with them, Beastie Boys right hand man Mario C is remixing for them and everyone from The Fader to NME and Radio 1’s Huw Stephens and Zane Low are talking about them. Introducing RDGLDGRN (pronounced Red Gold Green) the Washington DC based trio who gained widespread recognition when they self-released a song called ‘I Love Lamp’ on YouTube late last year. Within just a few weeks the video had 100,000 views and they were on their way to begin recording their debut album at the historic Sound City Studios in California. It was there, in the same studio where Nevermind was created, that the band caught the attention of Foos frontman and rock legend Dave Grohl, who was so impressed he offered to play drums on the album. 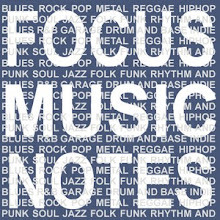 And it’s not just rock royalty that are into RDGLDGRN, the hip-hop community is also taken by the band’s unique sound, with genre-bending artist and producer Pharrell Williams (N.E.R.D., The Neptunes), co-writing and co-producing standout track ‘Doing the Most’ and long time Beastie Boys producer Mario Caldato remixing the band’s debut single ‘Million Fans’. A rousing and uplifting anthem, “Love Me Again”, was written and produced by the young artist and looks set to give Newman his first solo smash. Fans of the multi-talented writer/artist/producer/singer have been hearing John premiering tracks from his forthcoming debut LP on the Rudimental’s tour. The Yorkshire born, London based Newman has also been confirmed for two appearances at The Great Escape festival in Brighton - Komedia Friday May 17th and Above Audio on Saturday May 18th. Tribes returned late 2012, only 11 months after their debut album ‘Baby’, with a free download of ‘Wrapped Up In A Carpet’. Intended as a taster for fans of their upcoming second album, the track got an amazing response and ended up being picked up by radio, including Radio 1, 6 Music and an XFM evening playlist add Their second album, ‘Wish To Scream’, which was recorded at the famed Sound City Studio in LA, where Nirvana’s ‘Nevermind’ and Fleetwood Mac’s ‘Rumours’ were made, is due for release on Island on May 20. The first part of Tribes 2013 touring plan sees them head out on a regional tour in April, full dates below finishing up at The Roundhouse, London. Off the back of storming the UK charts once again with latest single ‘White Noise feat AlunaGeorge’, Disclosure are extremely excited to announce their debut album, ‘Settle’, out June 3rd on PMR Records. It will be preceded by new single ‘You & Me’, which is available to buy from iTunes and physically from June 3rd. The first taste of new material from the album, ‘You & Me’ features Eliza Doolittle and, as you’d expect, yet again proves Disclosure’s ability in bringing the best out of their vocal collaborators, with Eliza’s lustrous vocal immersed among Disclosure’s trademark 2-step garage rhythms, once again showing beyond doubt their capacity in delivering yet another anthem alongside previous singles ‘Latch’ and ‘White Noise’.Having steadily built a name for themselves as purveyors of a standard of music production way beyond their tender years, they’ve spent a solid couple of years honing their already prolific output into what’s sure to be one of the debuts of 2013 – in any genre. Most recent releases ‘Latch’ featuring Sam Smith and ‘White Noise’ featuring AlunaGeorge have sold over 600K combined (making both Silver certified singles). ‘White Noise’ which entered the UK singles chart at #2 on release still sits in the Top 15 after 10 weeks. On the live front, Disclosure are continuing to smash it worldwide – their March UK tour sold out completely which led them to a run of sold out North American dates and back into Europe to close the month. The rest of 2013 promises to throw up a hugely impressive touring schedule, including a set of newly announced UK live dates in November which sees the pair perform to their biggest homegrown crowds to date, topped off with what is set to be a triumphant final night at the prestigious O2 Academy Brixton on November 28th. 'Love Cards' is the brand new single by Devlin, featuring rising newcomer Etta Bond. It is released on the 20th May through Island Records. This single is taken from Devlin's acclaimed second album ‘A Moving Picture’. Produced by Raf Riley, it follows Devlin's previous two top 10 hits off the album - (All Along The) Watchtower feat Ed Sheeran and ‘Rewind’. Love Cards is arguably the most sonically compelling track on the record, finding the 23 year old at his most acerbic and incisive, and looks set to become another huge anthem for this gifted and widely respected young artist. Devlin preceded the release of ‘Love Cards’ with a headline show at London's Koko on the 30th April and this is followed by Summer festival appearances at Reading and Leeds (headlining the 1Xtra Stage), Isle of Wight, Wireless (supporting Jay Z), and Beachbreak.